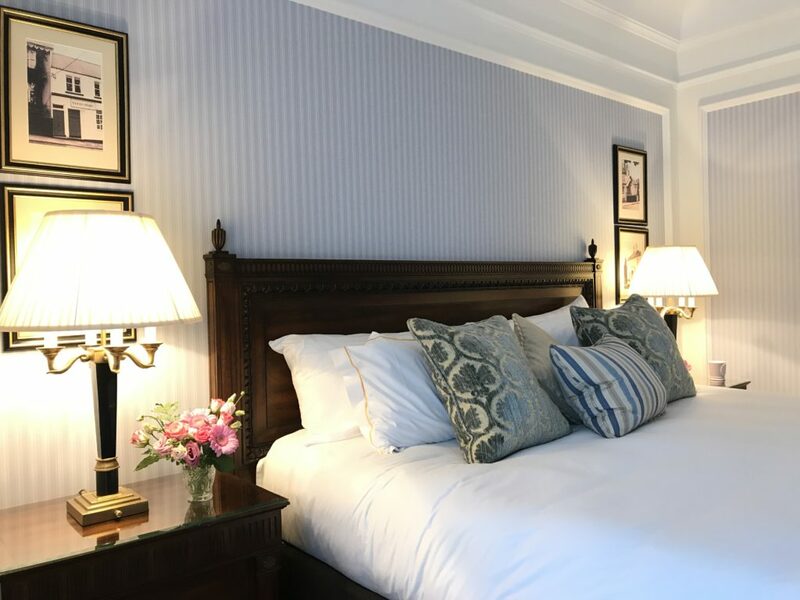 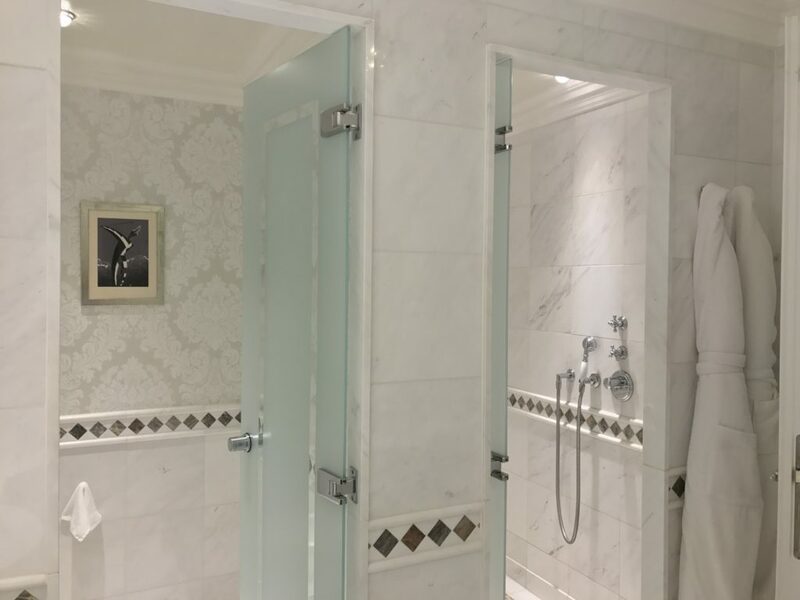 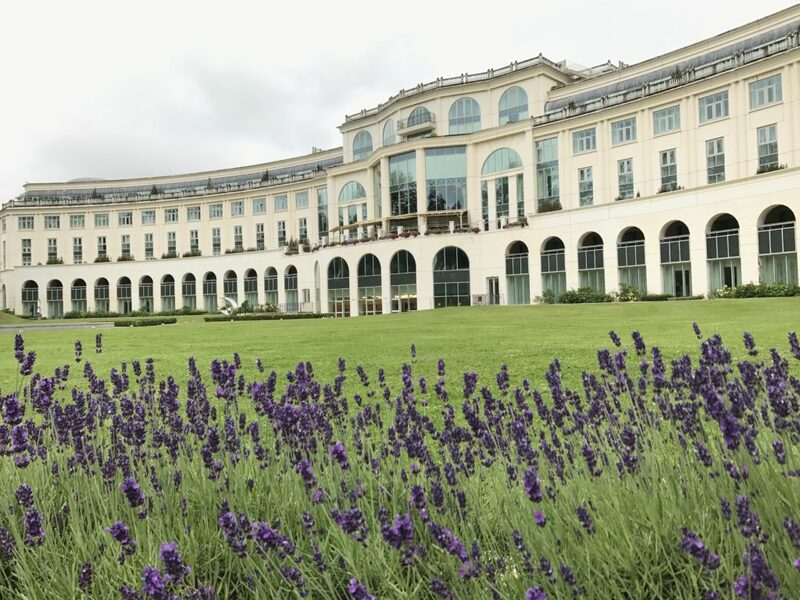 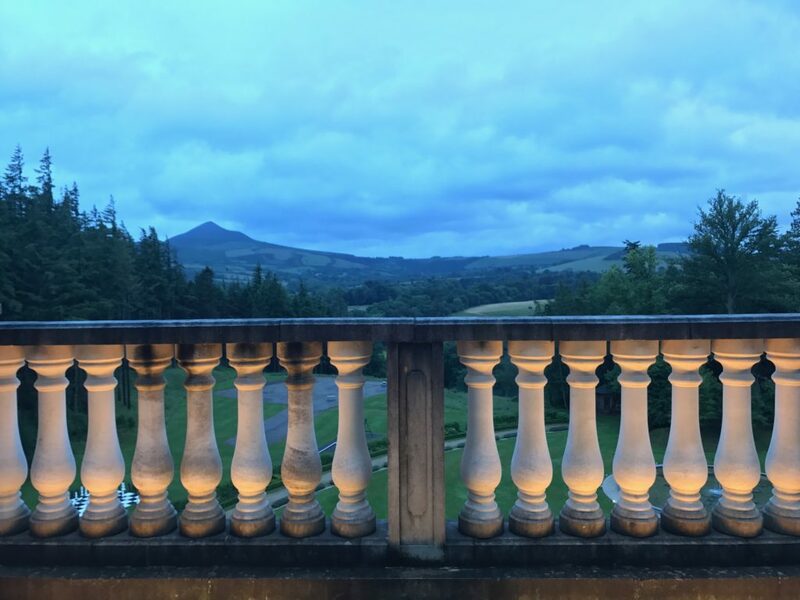 Powerscourt Hotel is situated in the truly stunning Powerscourt Estate in Co Wicklow with the Sugar Loaf mountain providing a spectacular backdrop to this beautiful and imposing building. 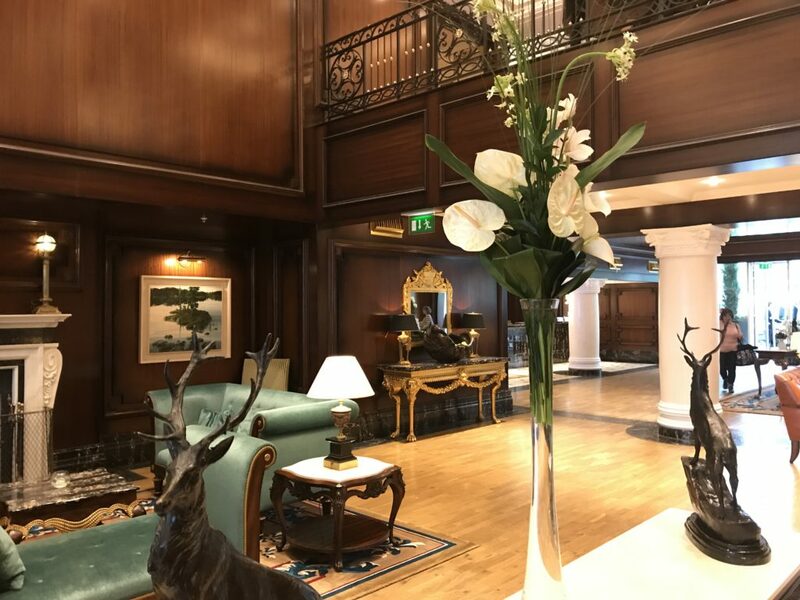 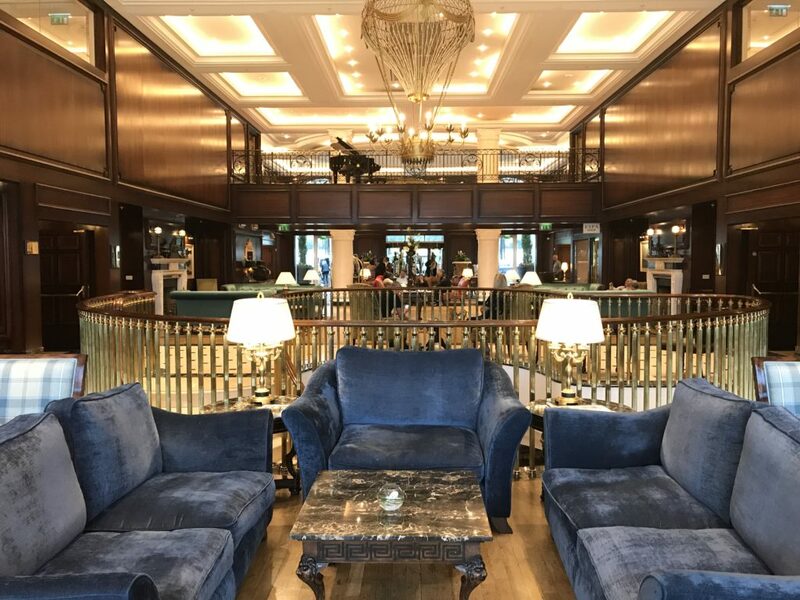 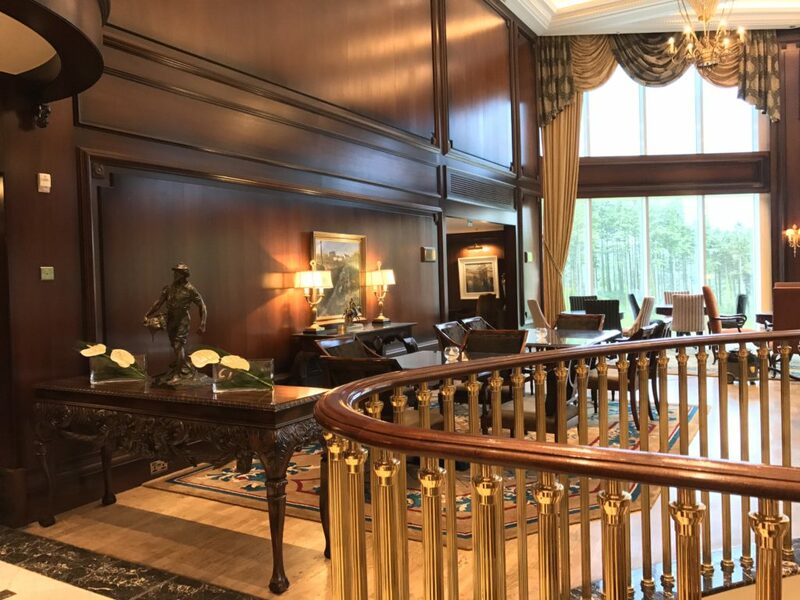 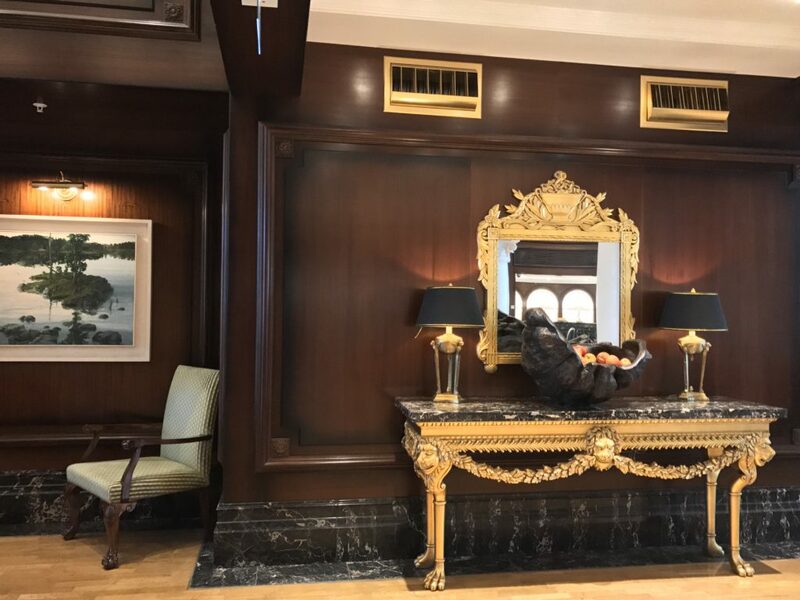 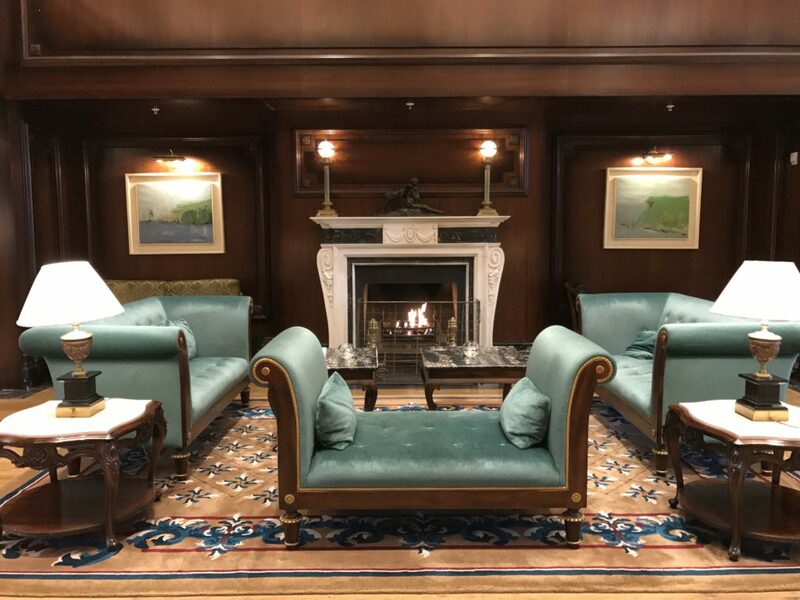 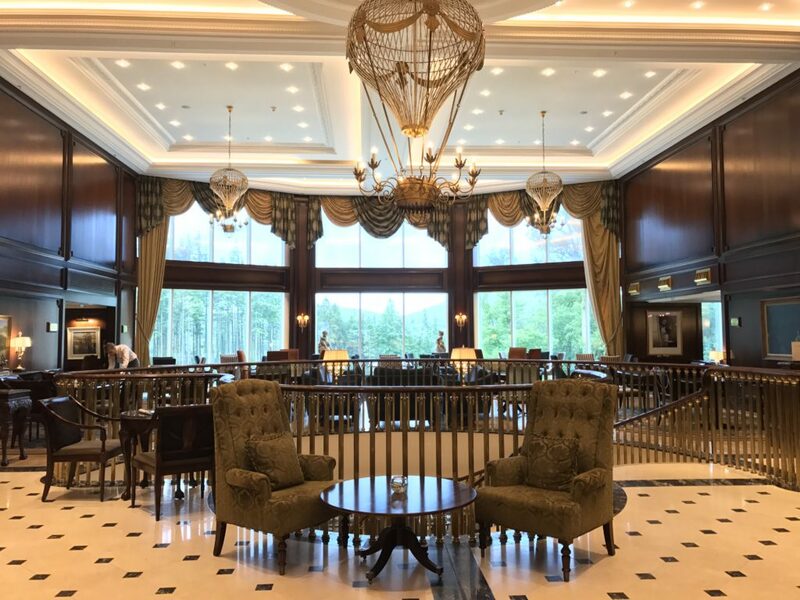 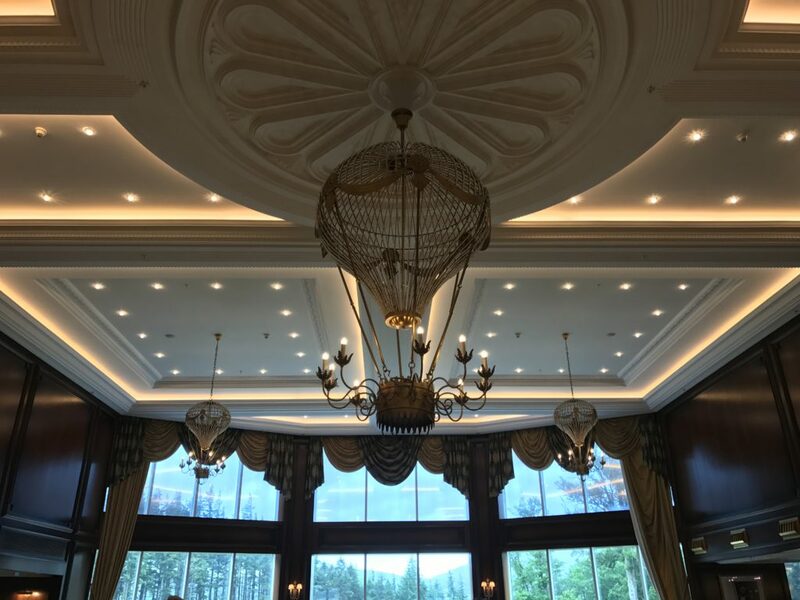 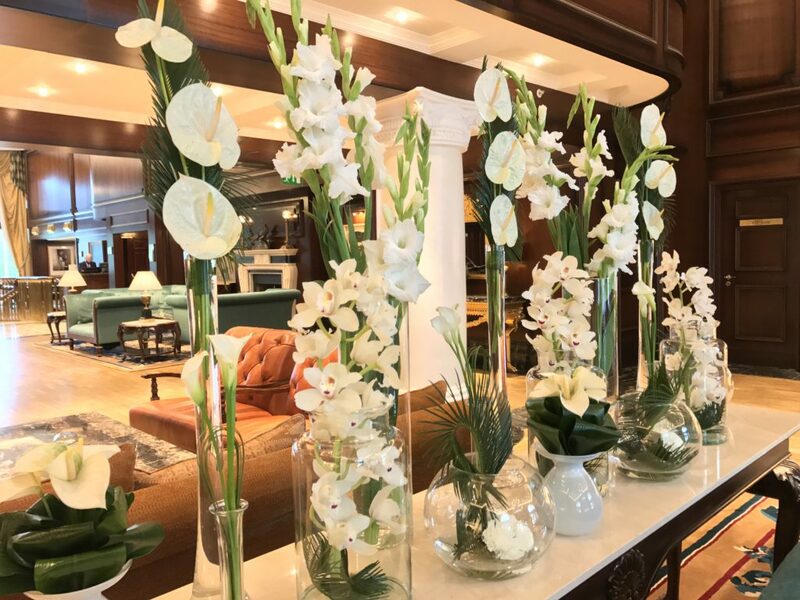 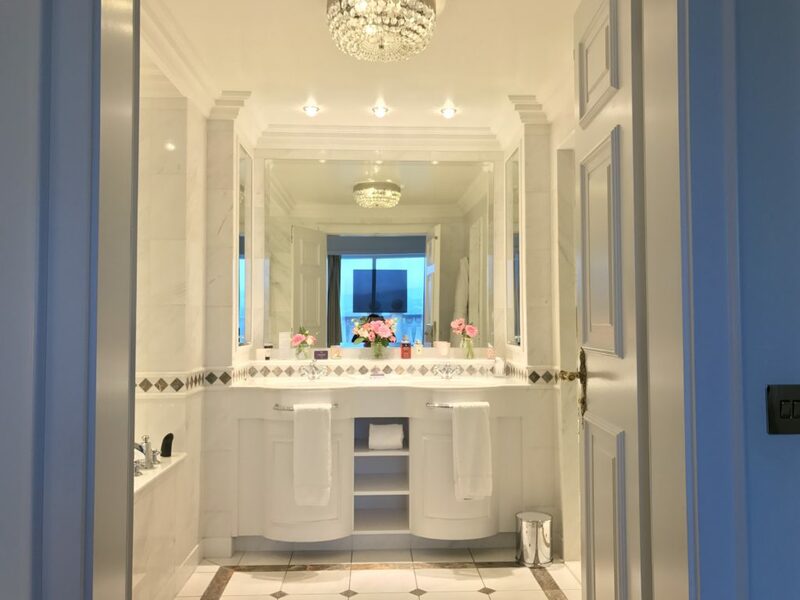 Everything about this place is impressive and the minute you step through the front doors into the beautifully opulent foyer you get a sense of luxury and relaxation with the large fireplaces, beautiful floral displays and seating areas with jazz music softly playing in the background. 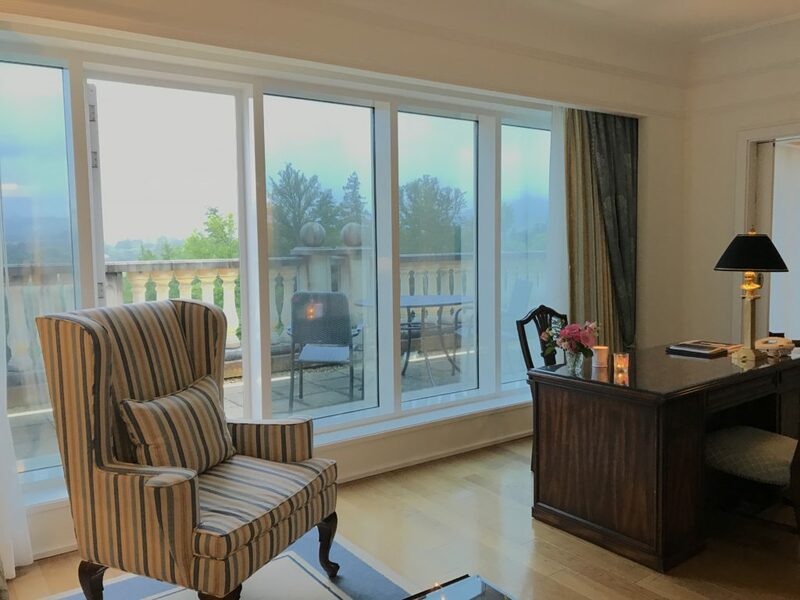 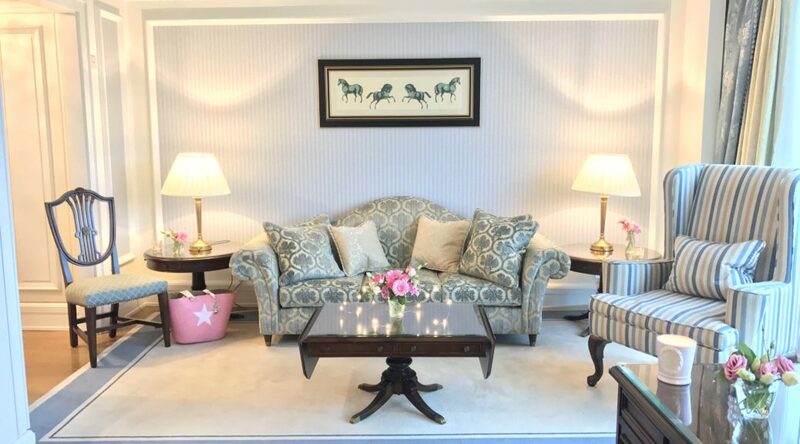 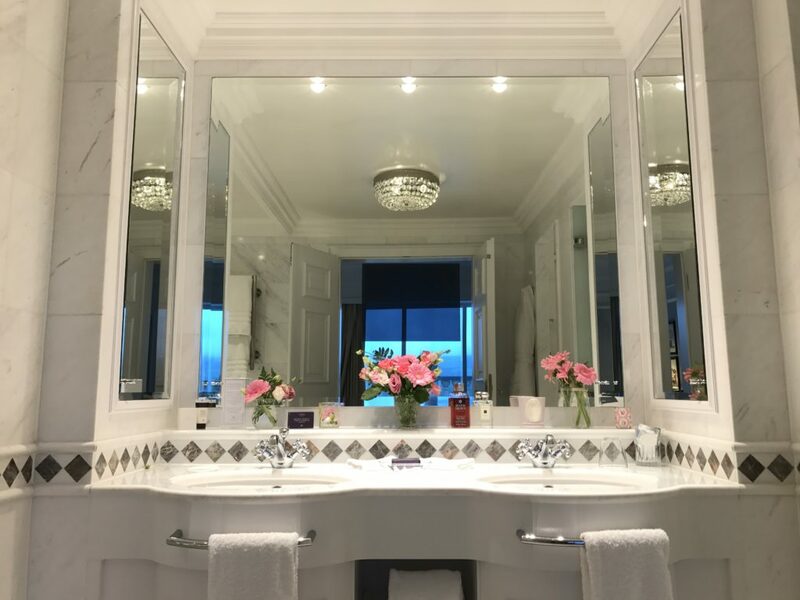 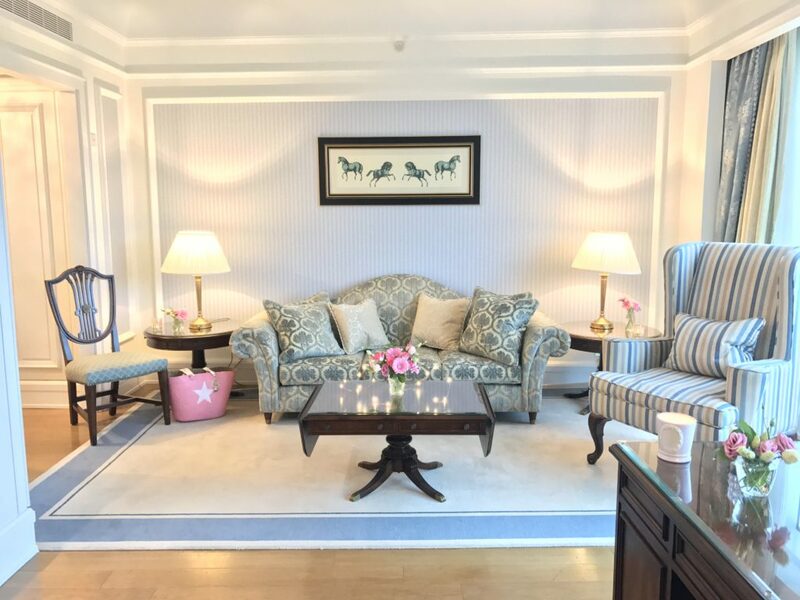 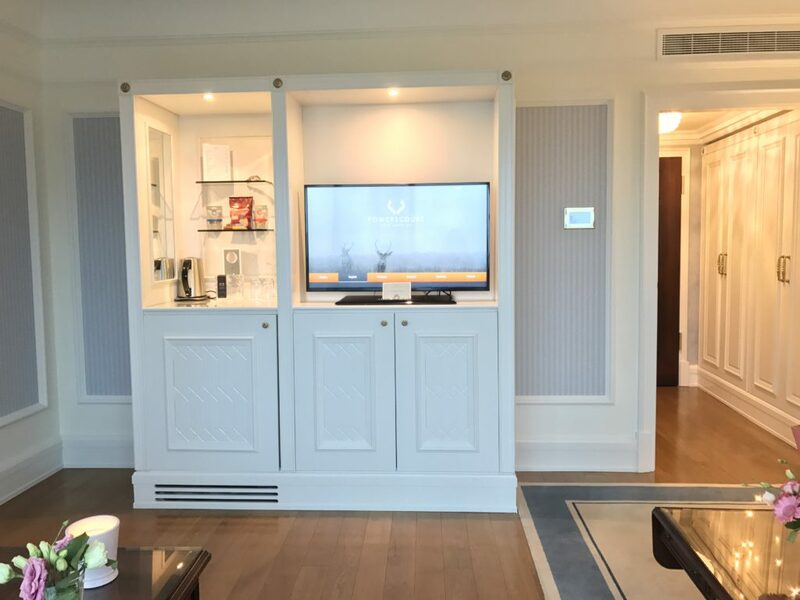 We had previously stayed in one of the suites looking over Sugar Loaf mountain and were so impressed with its size and beautiful decor that we were keen to repeat the experience. 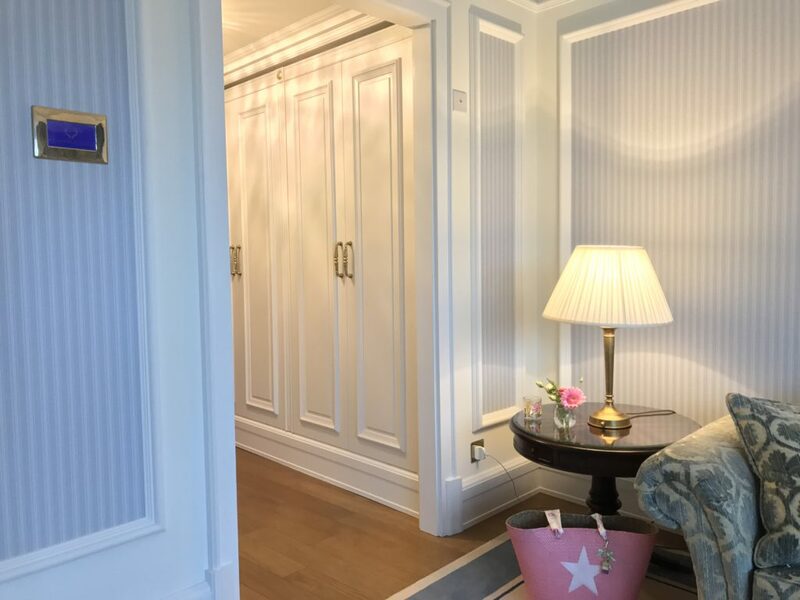 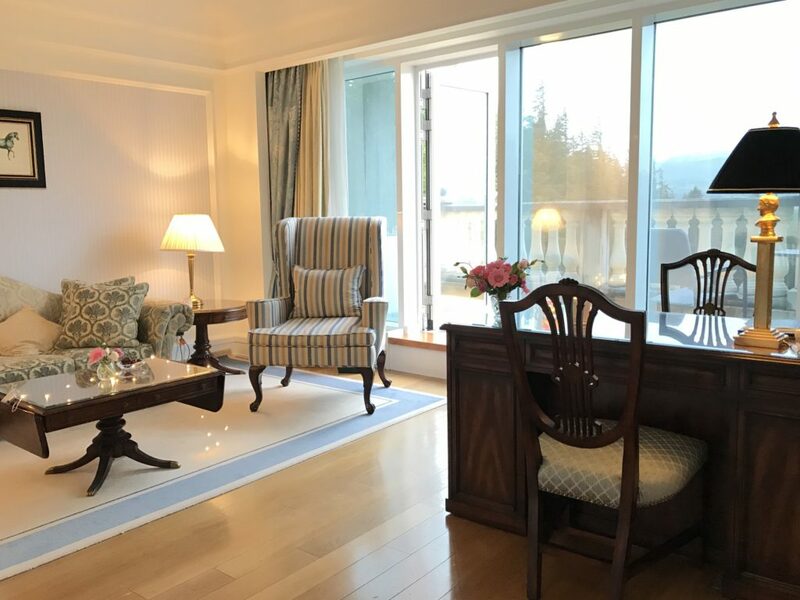 The suite is decorated in gold & blue with beautiful bathrooms , dressing rooms, bedroom and sitting room as well as a balcony with table & chairs looking over the mountain. 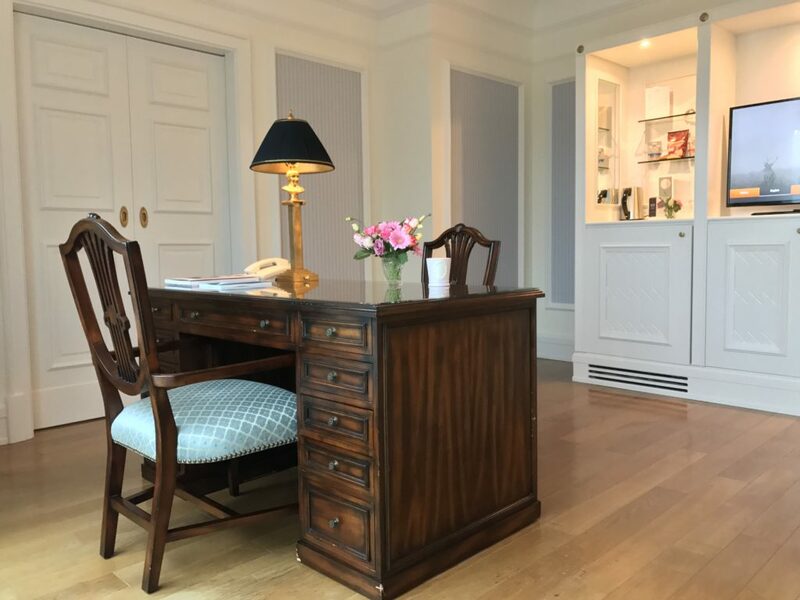 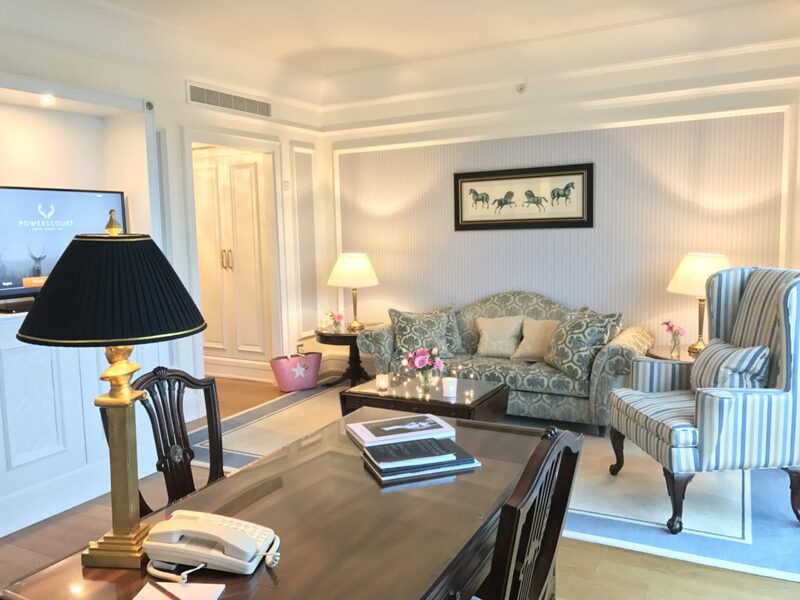 The suite is so stunning you hardly want to leave it and on our previous visit we ordered dinner to our room which was set up beautifully on a dining table with full silver service. 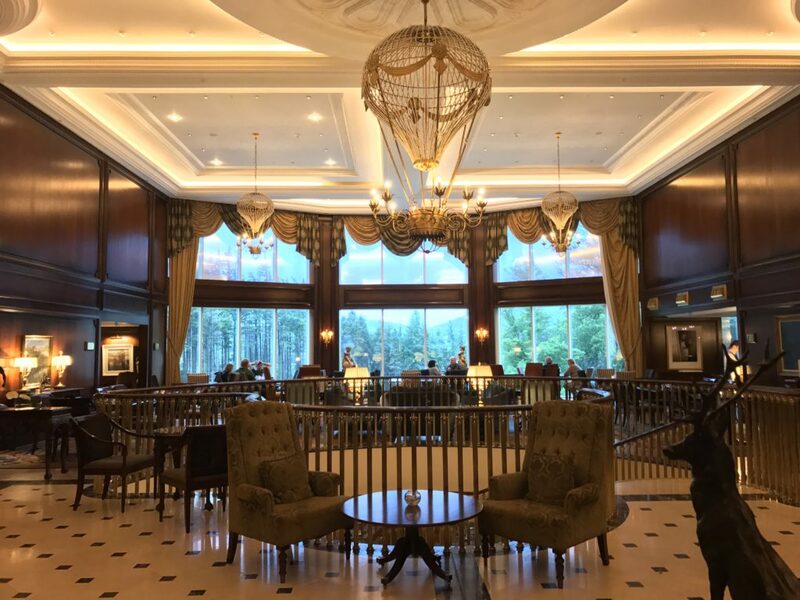 There are three separate restaurants in the hotel, the Sugar Loaf Lounge , Sika restaurant and McGills Pub. 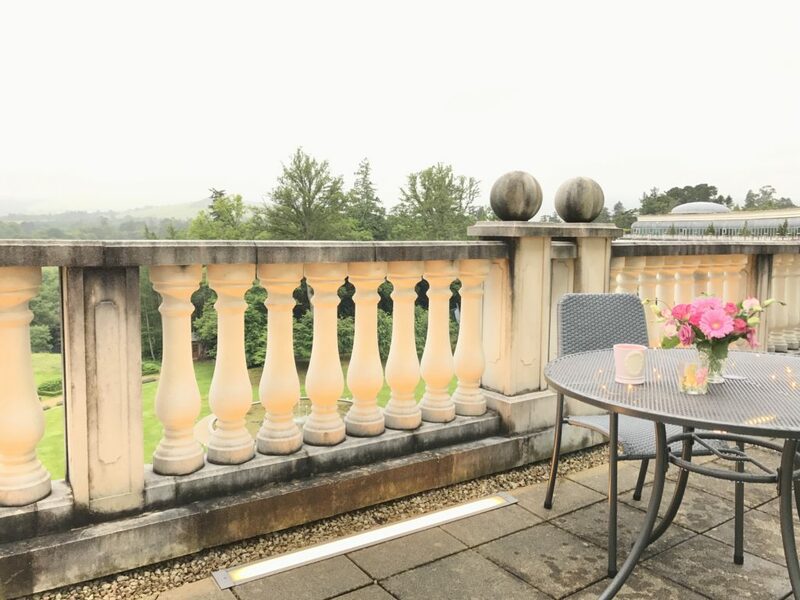 I love the Sugar Loaf lounge during the day for afternoon tea , soup, sandwiches or just a coffee. 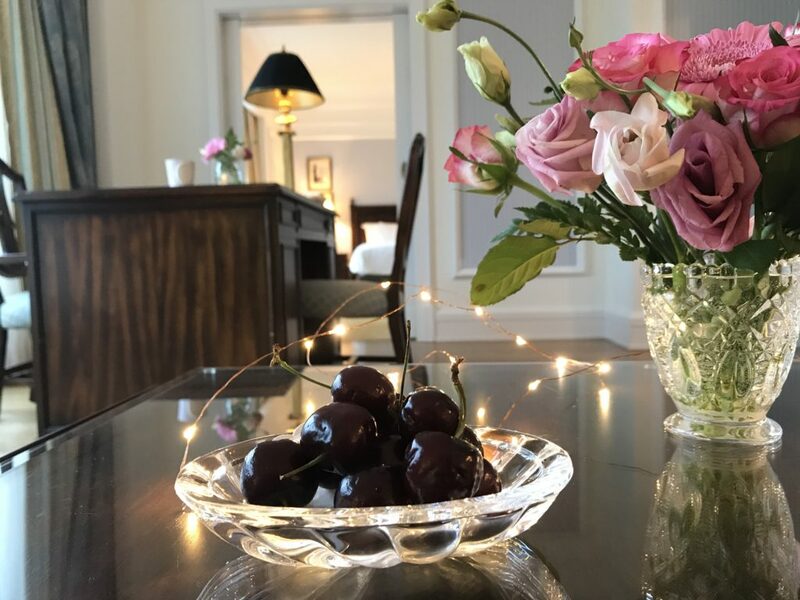 It has such a beautiful outlook and we’ve always been lucky enough to have a window table. 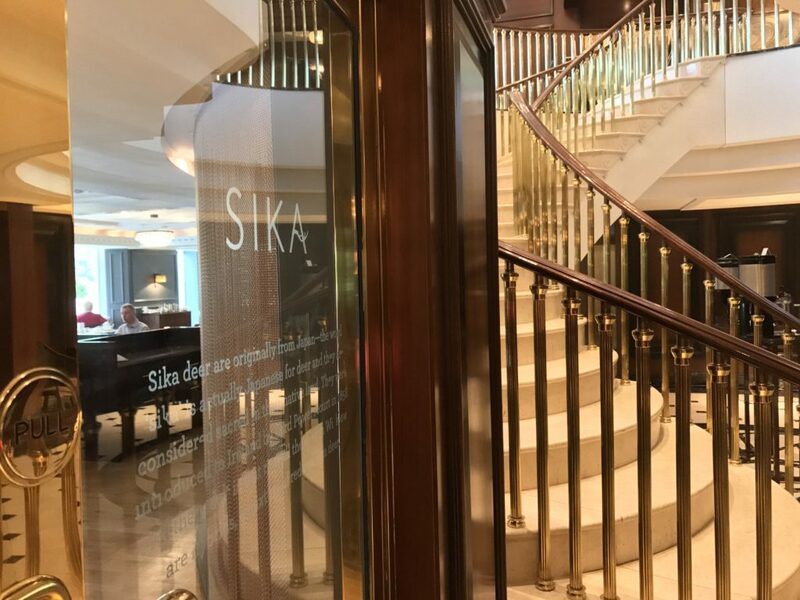 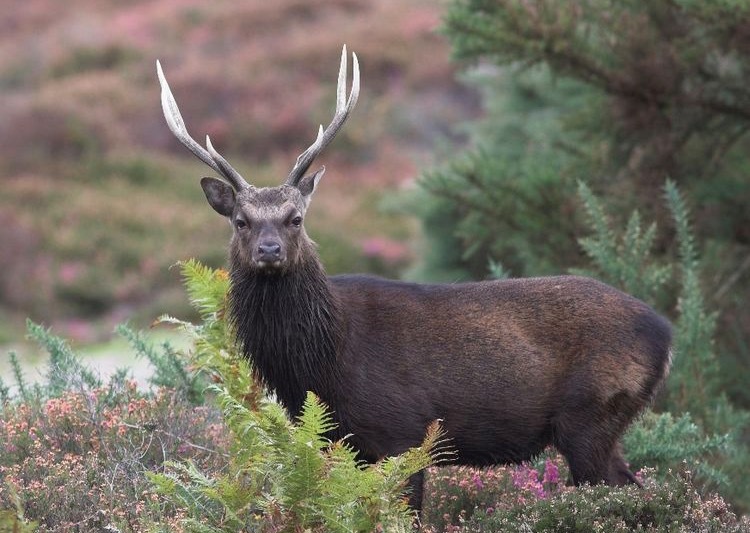 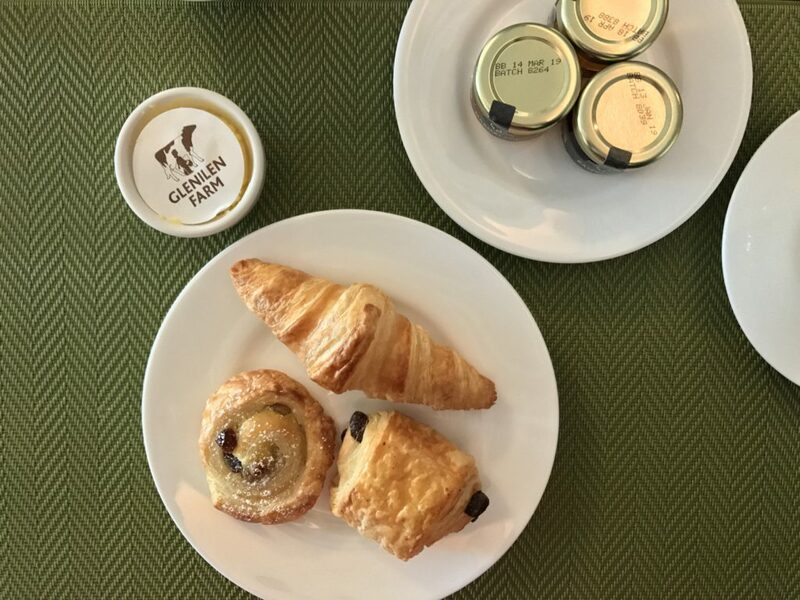 Breakfast is served in the lovely Sika restaurant, named after the Japanese Sika deer which Lord Powerscourt introduced to the estate in 1860. 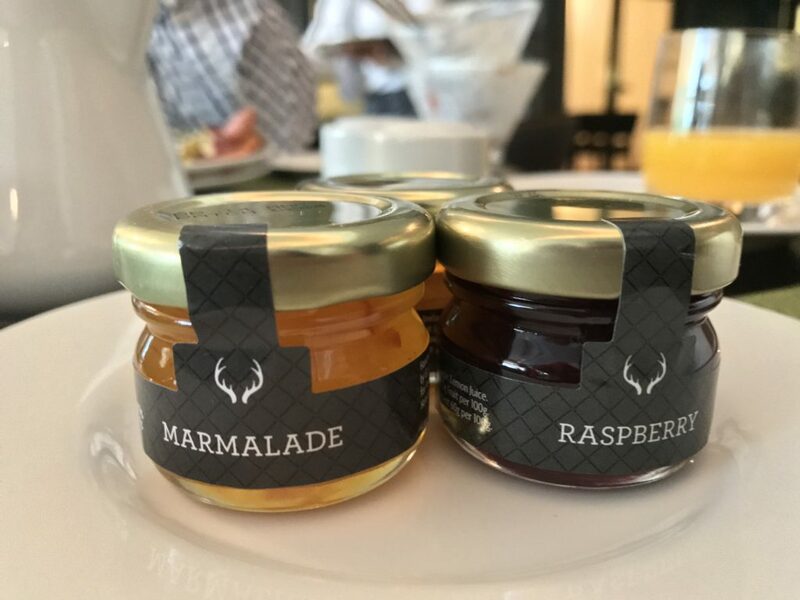 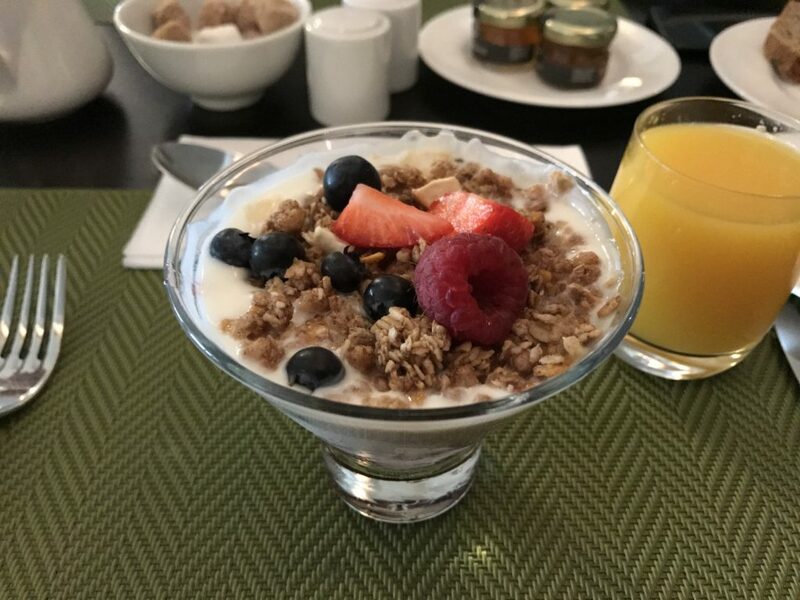 My favourite is always the Greek yoghurt served with fresh fruit & granola in a sundae dish and followed by a cooked breakfast or pastries. 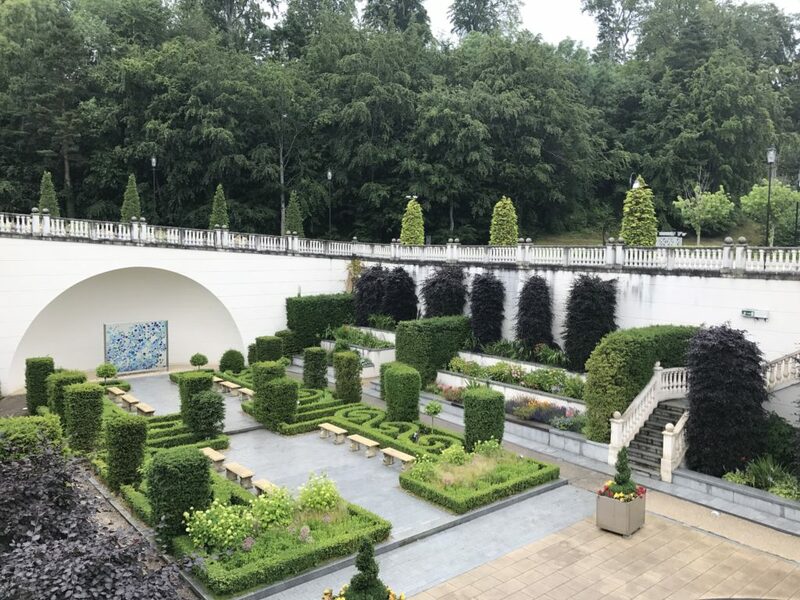 There’s a beautiful downstairs terrace garden at the front of the hotel and on our last visit a lovely wedding ceremony was taking place here and we had a birds eye view as we walked past. 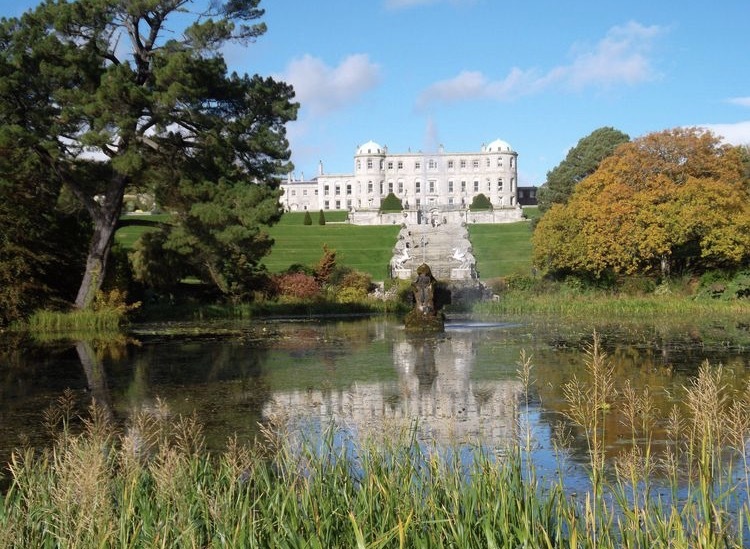 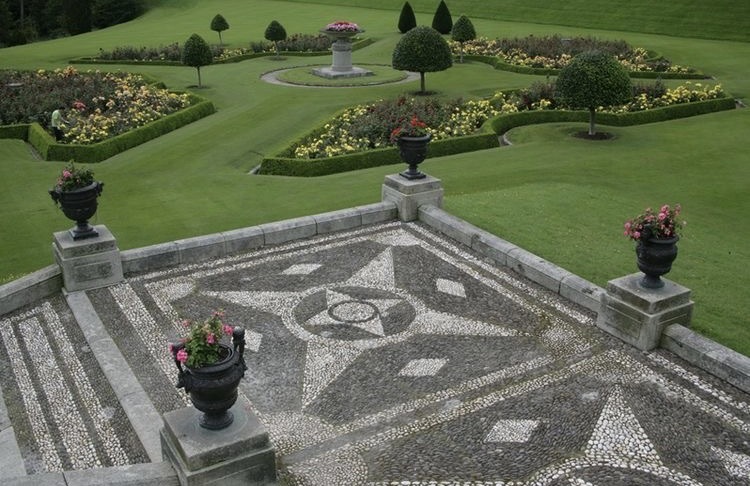 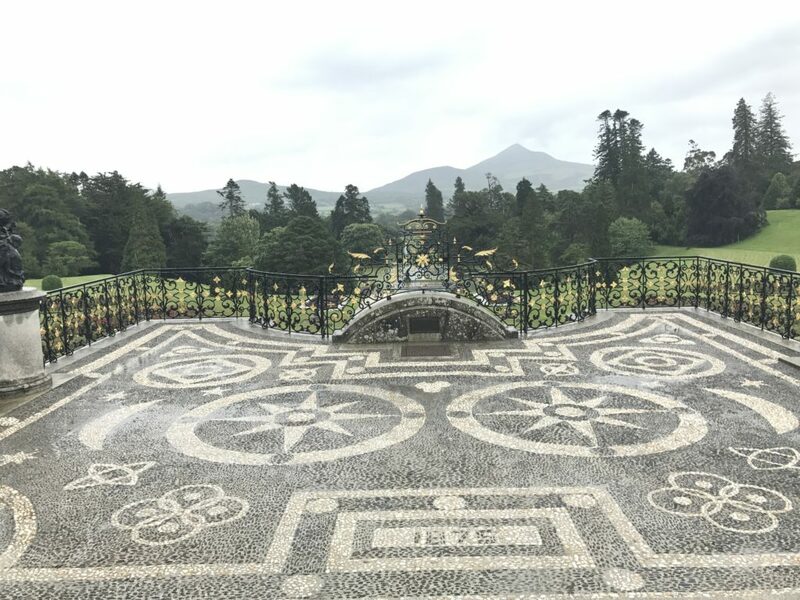 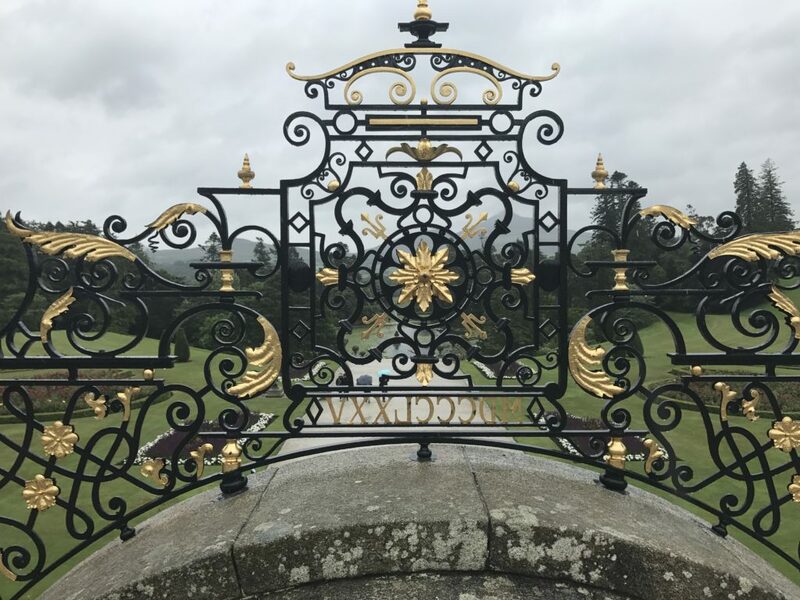 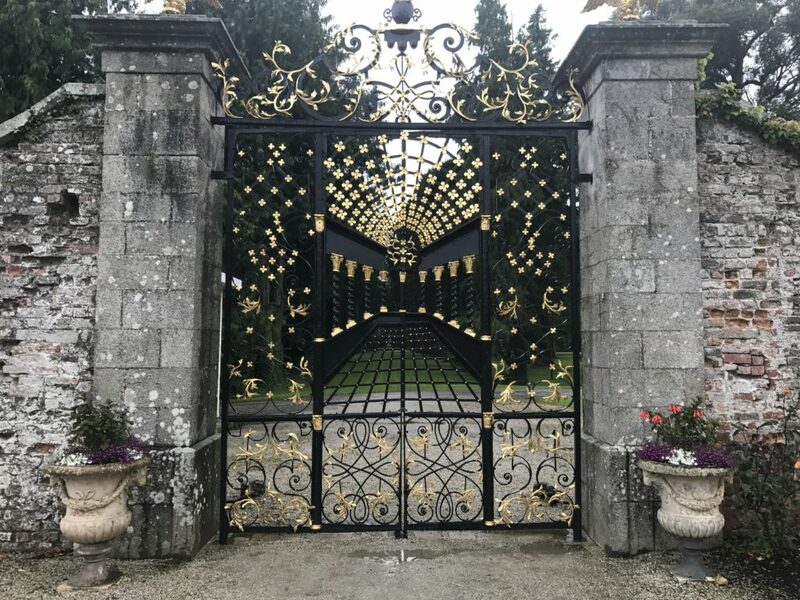 A visit to Powerscourt isn’t complete without going to Powerscourt House & Gardens just ten minutes walk away from the hotel and the gardens here are out of this world and steeped in history which hugely appeals to me. 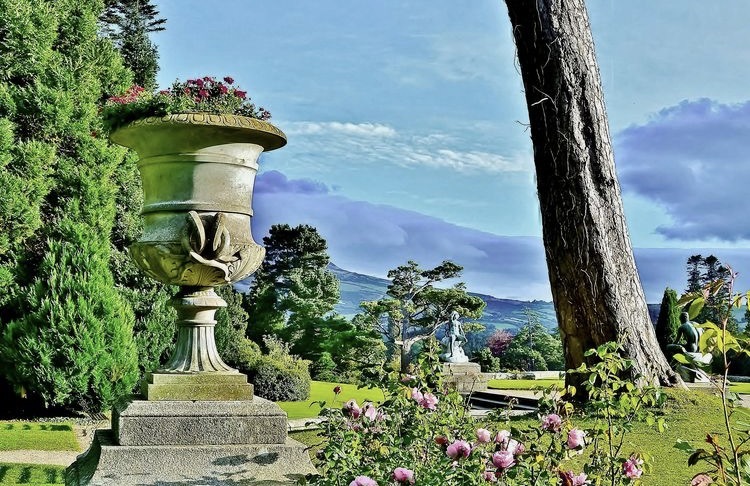 These beautiful gardens were recently named third in the top ten gardens of the world by National Geographic and it’s not hard to see why! 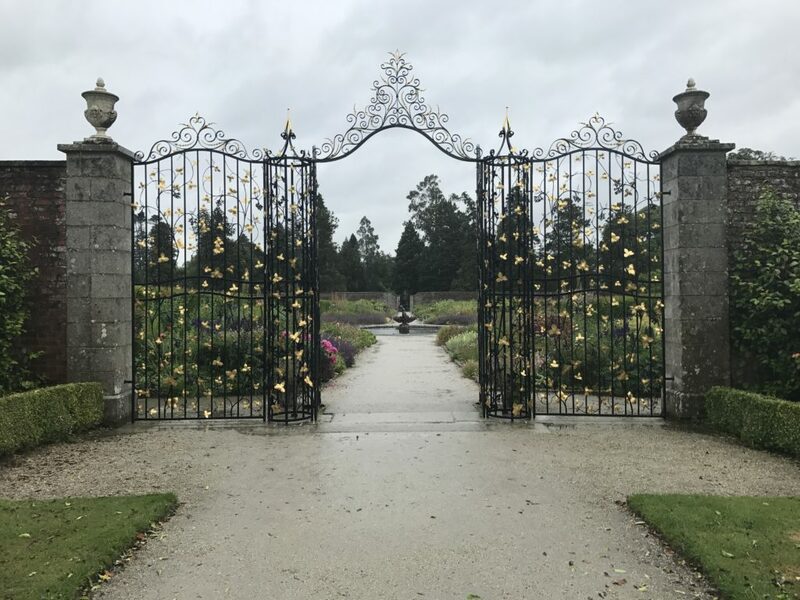 When we visited this time it was raining heavily but this didn’t detract from the beauty of the gardens and I walked round with an umbrella snapping a few pics and enjoying the romanticism of the walled gardens, which always makes me think of one of my favourite childhood books ‘The Secret Garden’. 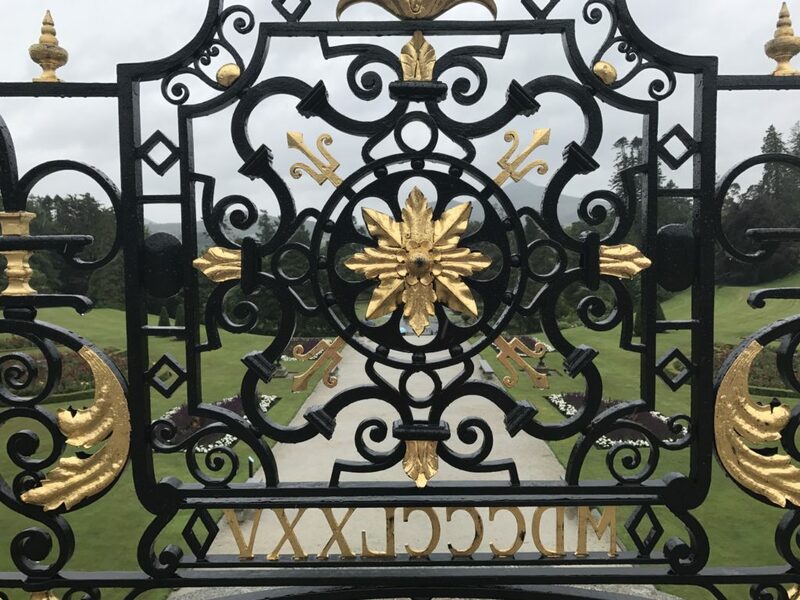 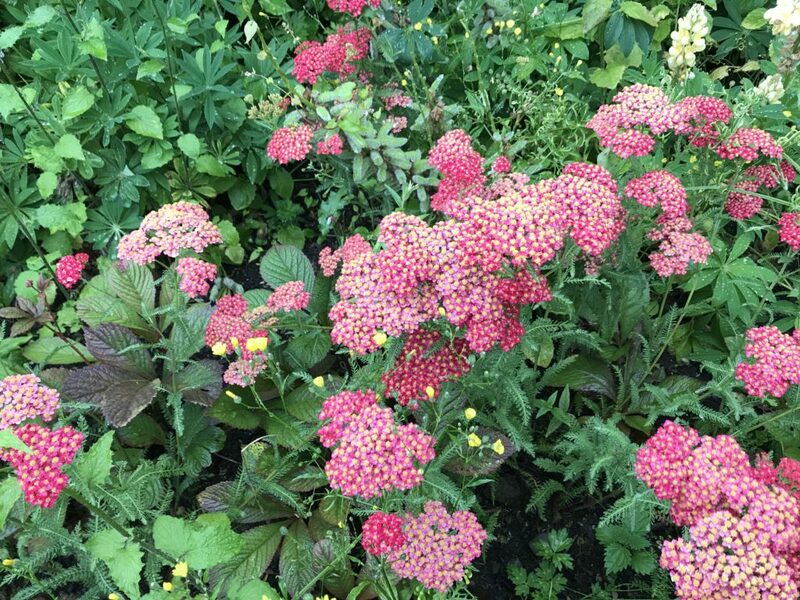 There is something deeply peaceful and rejuvenating about these gardens and I’d highly recommend a visit with plenty time to walk round and soak in the atmosphere. 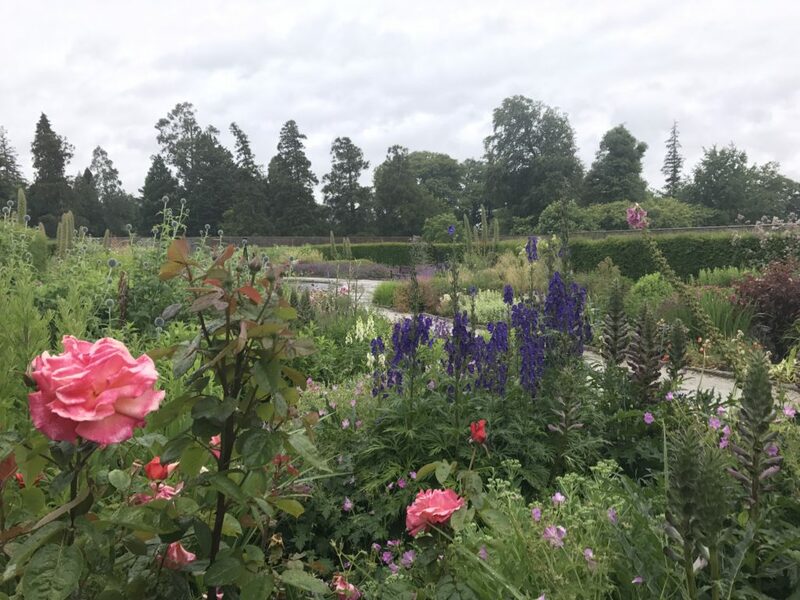 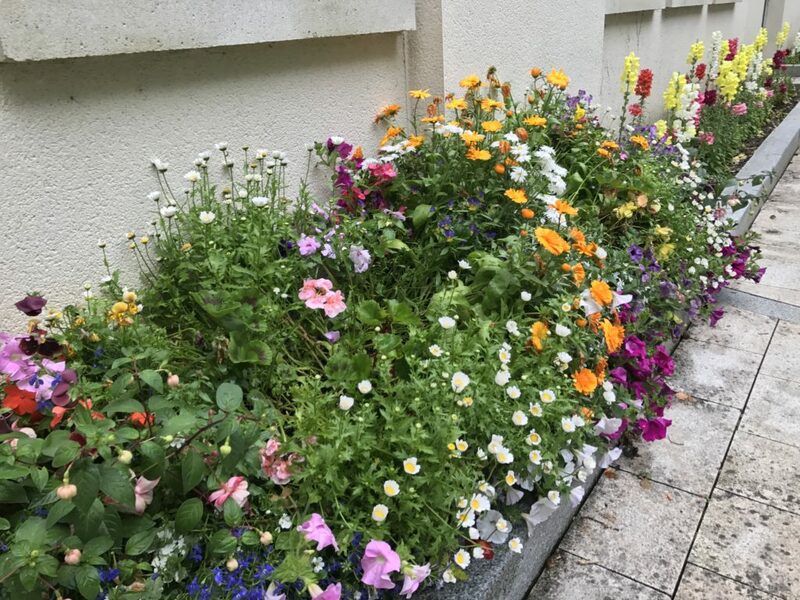 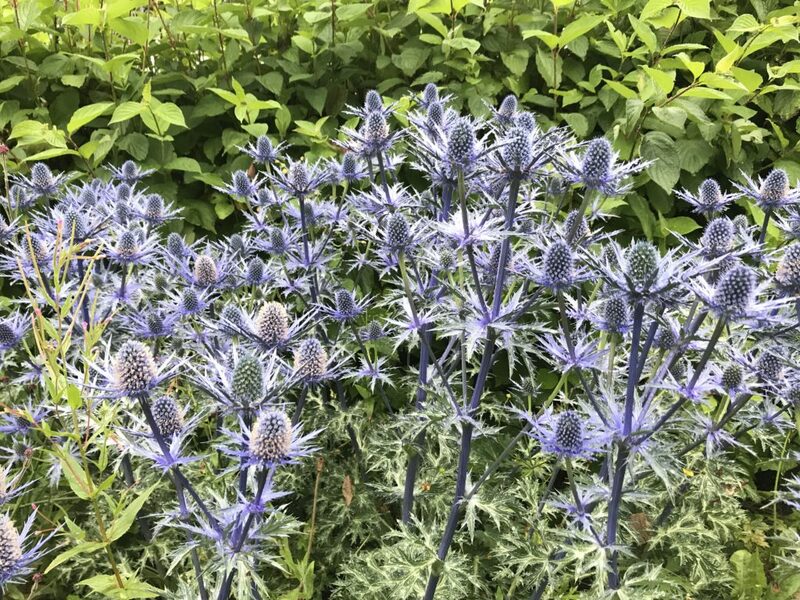 I’ve included 3 pics here from Pinterest to let you see the gardens on a sunny day with blue skies but there was something lovely about walking around in the rain and watching the gardeners go about their work wearing their waterproofs. 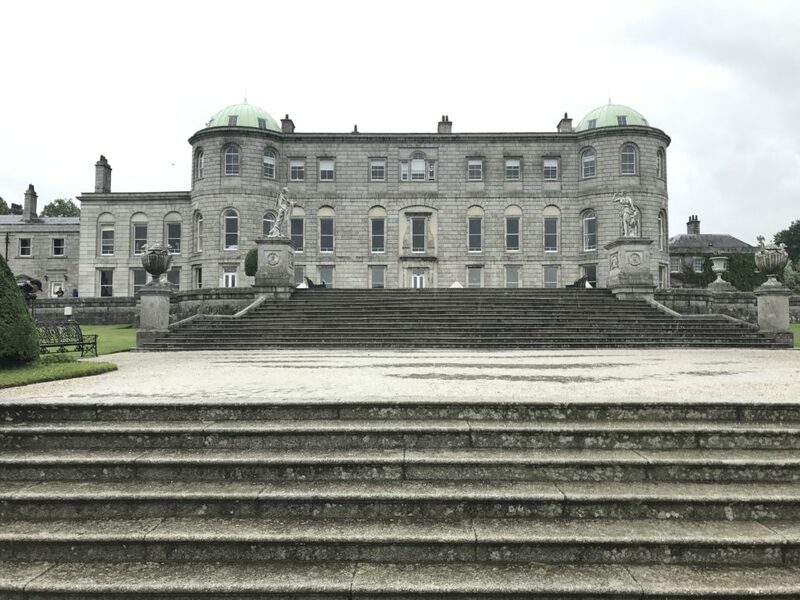 I wasn’t so sensible and got soaked through but it was so worth it! 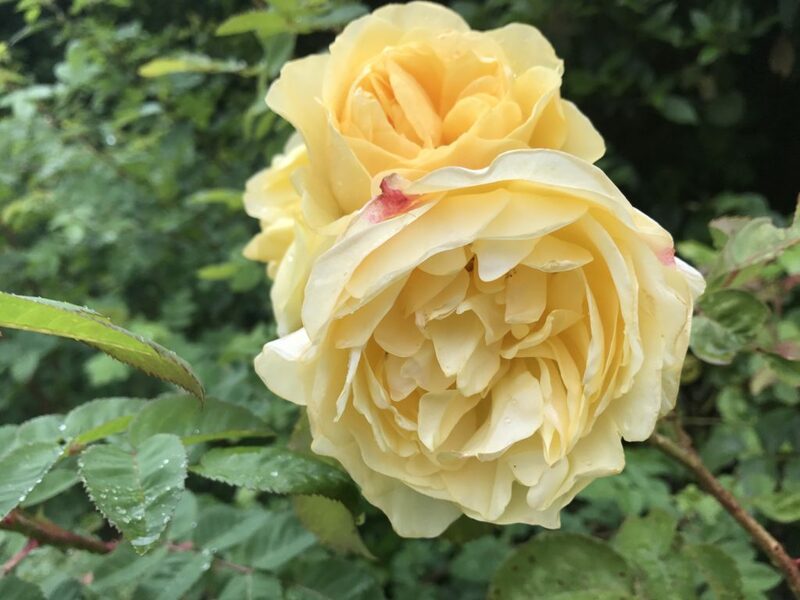 My pics below in the rain! 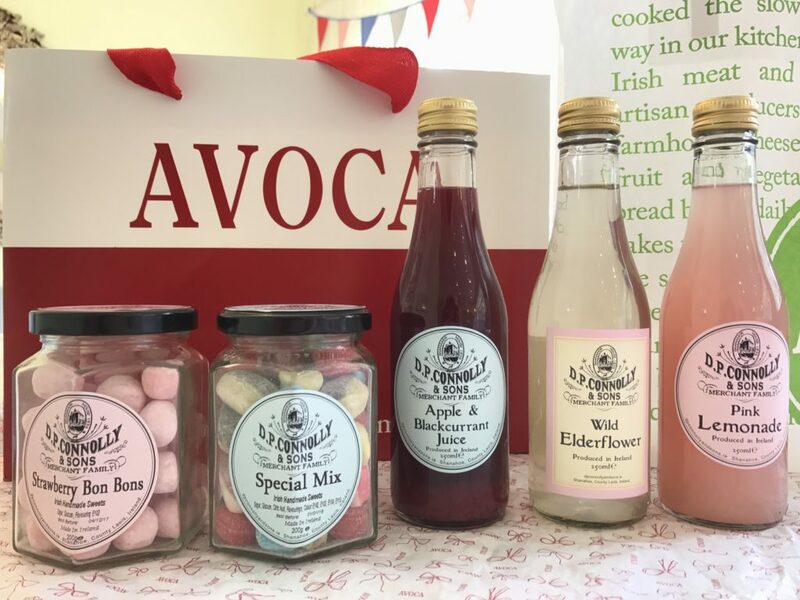 Of course a visit to Powerscourt Avoca is always in order and we popped in for coffee & cake and picked out little gifts for Joshua & Lydia and I also purchased some lovely lemonade & a new necklace! 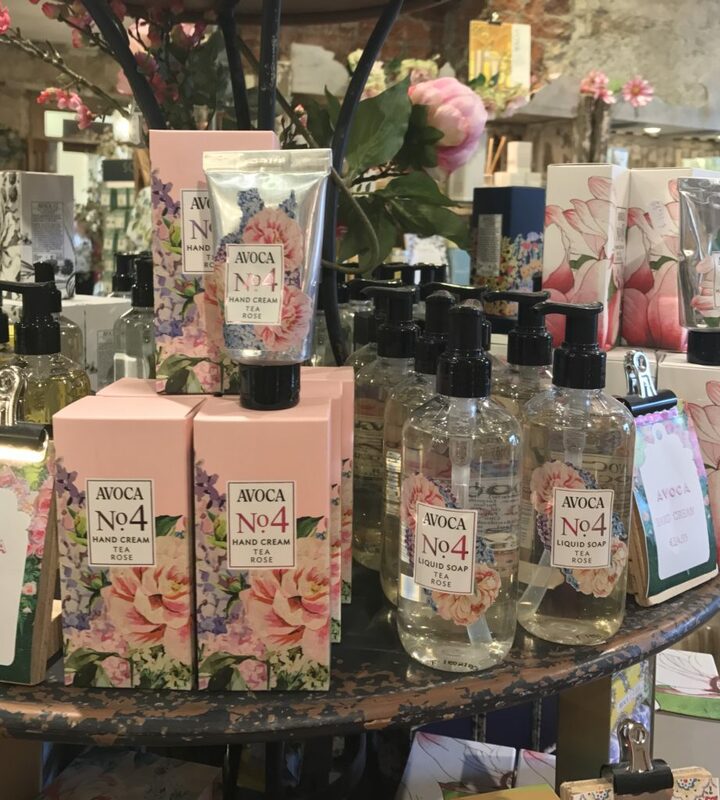 There is also a large garden centre here with beautiful garden accessories and giftware as well as beautiful plants & flowers. 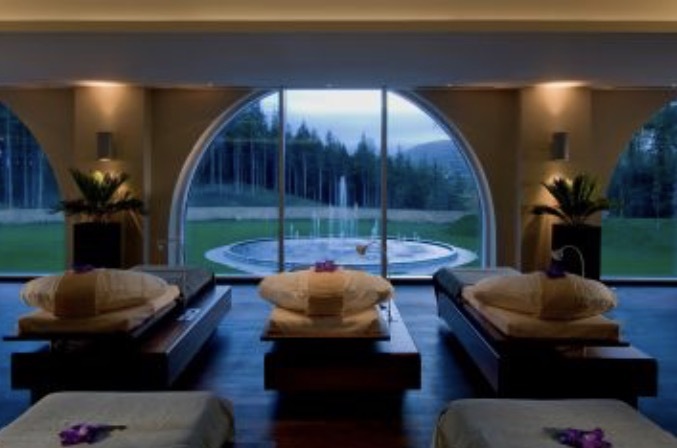 There is a beautiful Spa in the hotel with a gorgeous pool and as I love swimming I always enjoy doing a few lengths there. 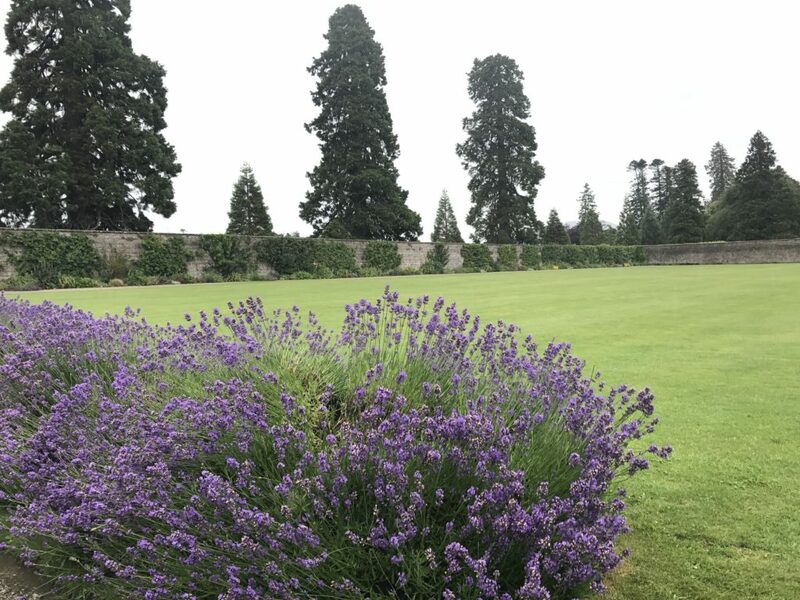 There is also a fabulous golf course on the estate so if you’re here for a relaxing break you don’t need to go far at all. 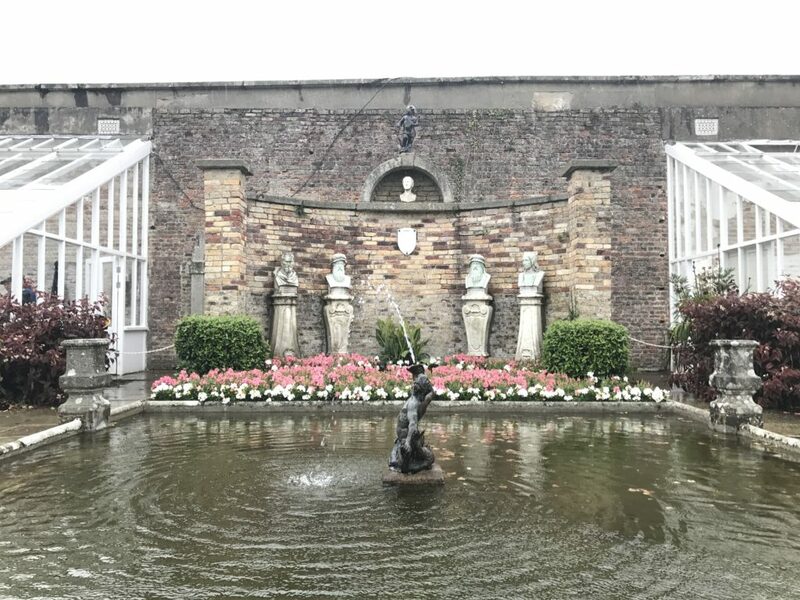 If you’re looking for some serious retail therapy then you can head into Dublin, read my Dublin blog here. 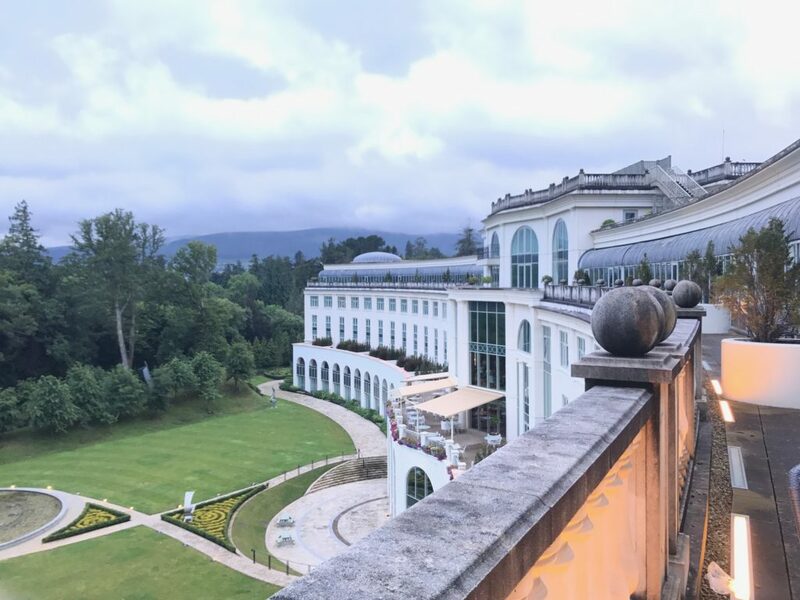 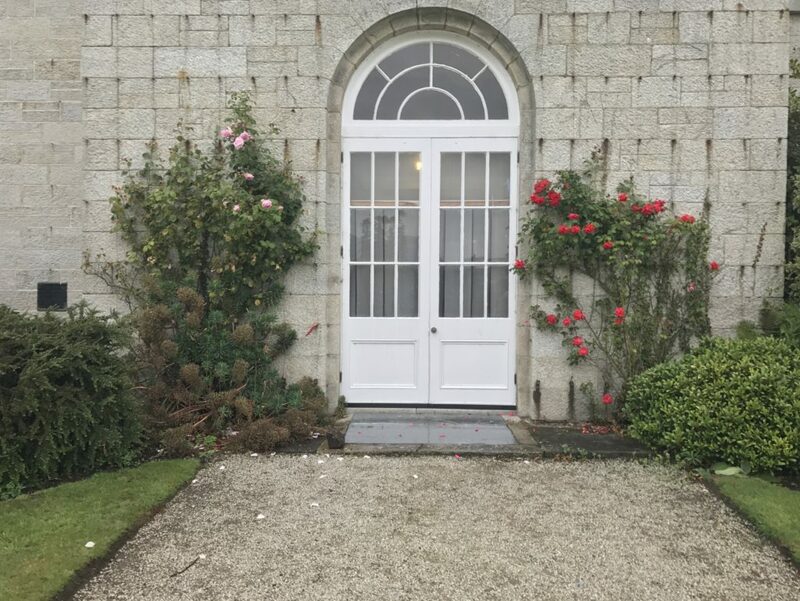 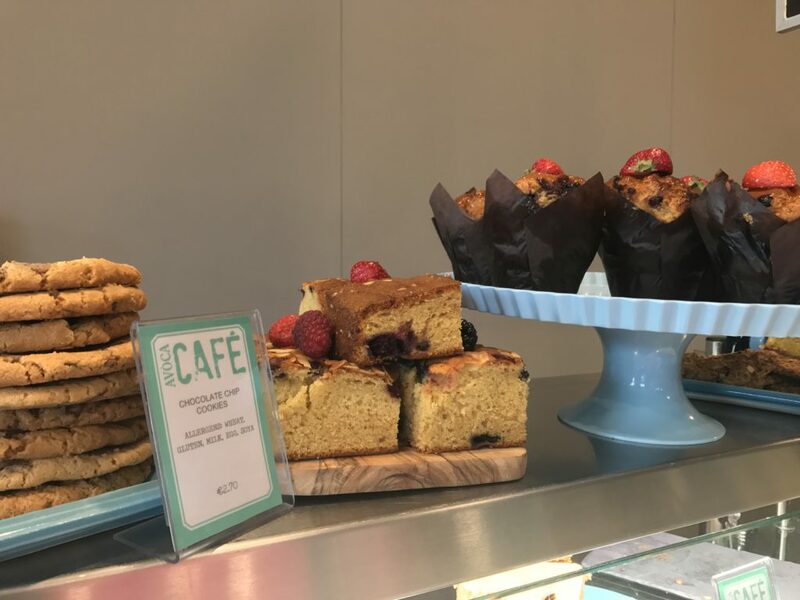 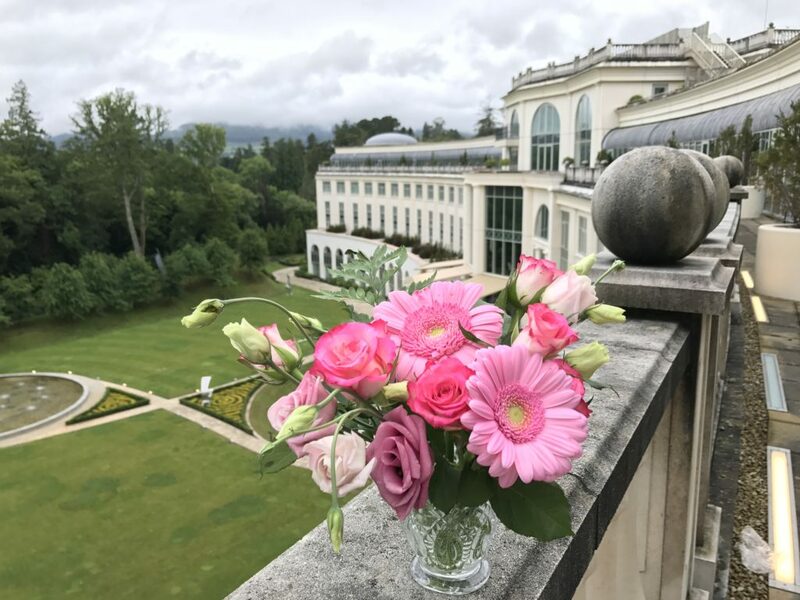 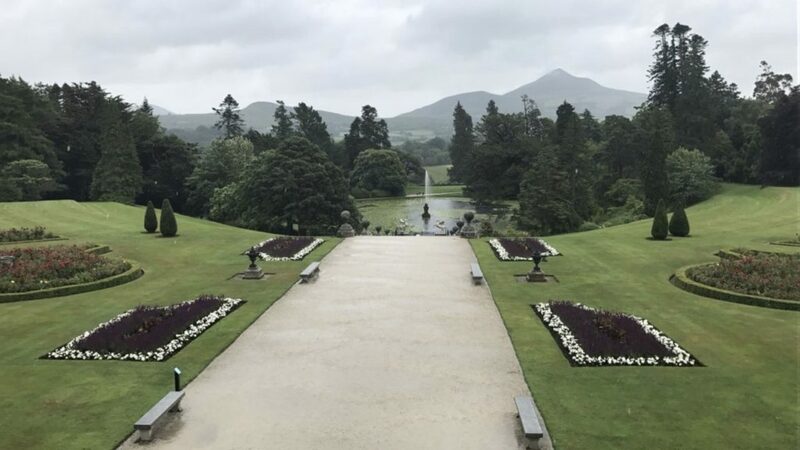 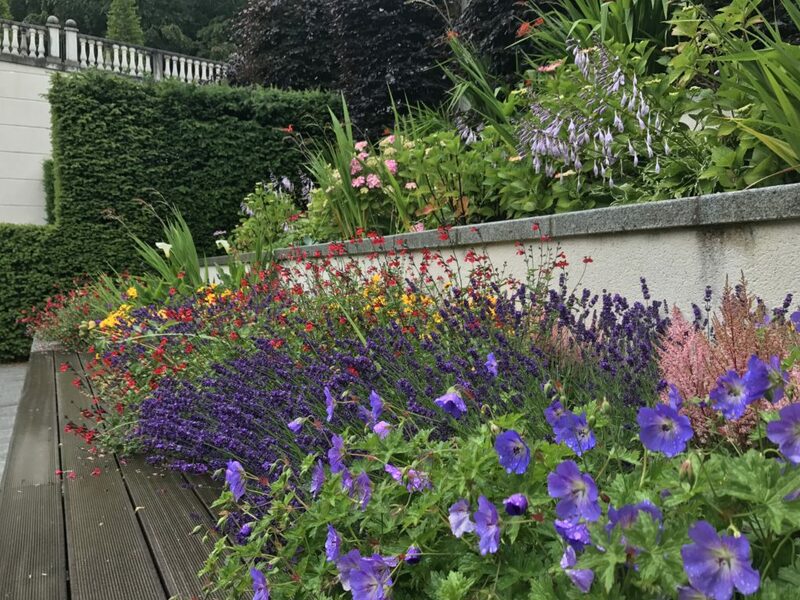 A visit to Powerscourt refreshes both the mind & body and leaves you rejuvenated and ready to face all those little (or big) challenges that life throws your way and I for one can’t wait to go back! 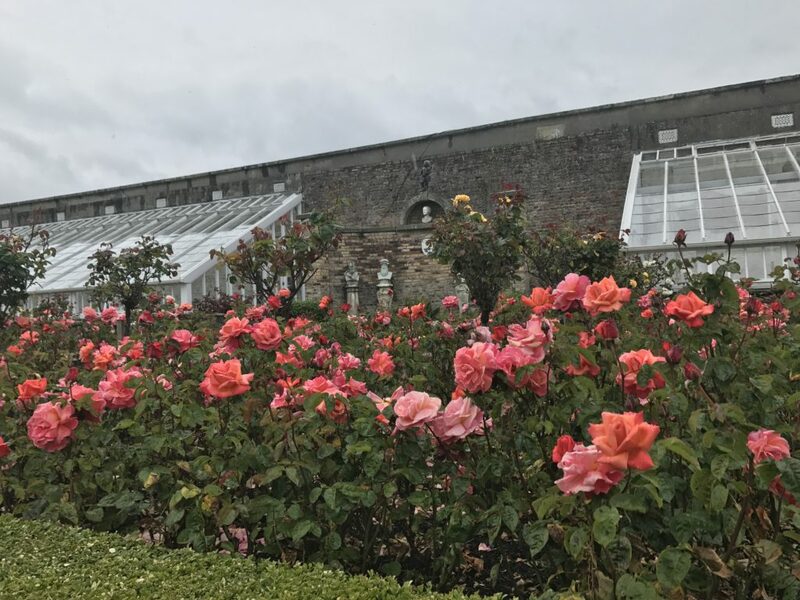 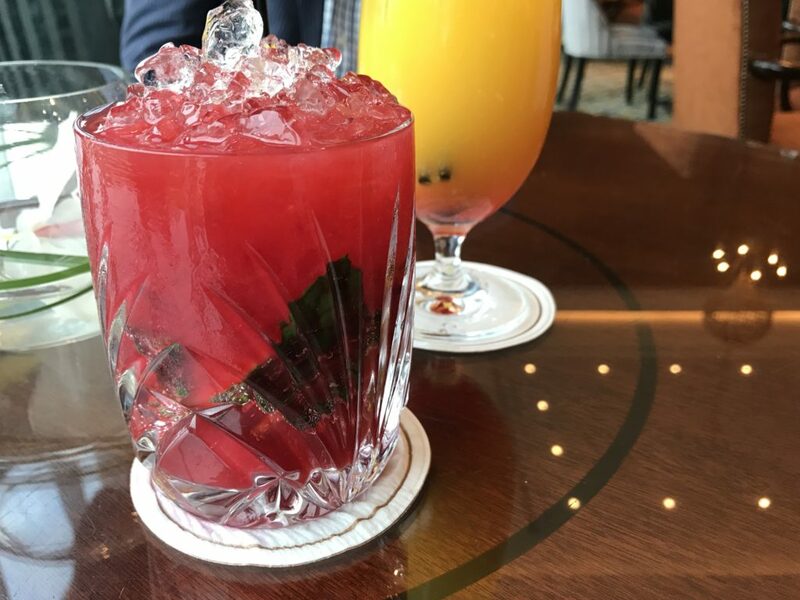 *This post is in collaboration with Powerscourt Hotel but all opinions are of course entirely my own. 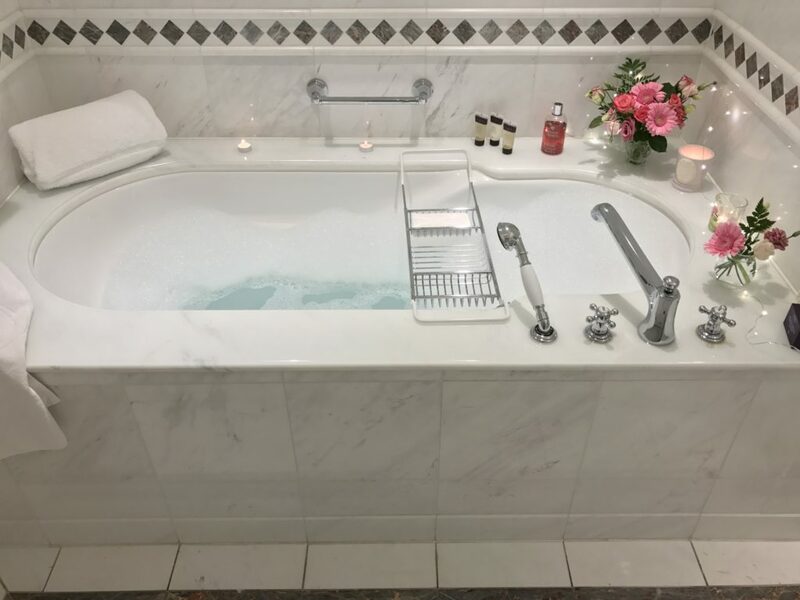 This is a dream! 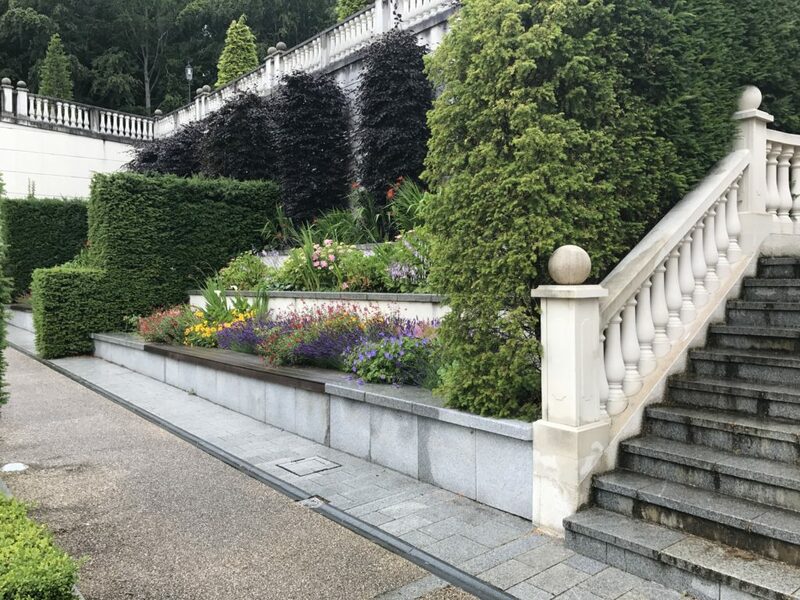 The buildings, the gardens, the views. 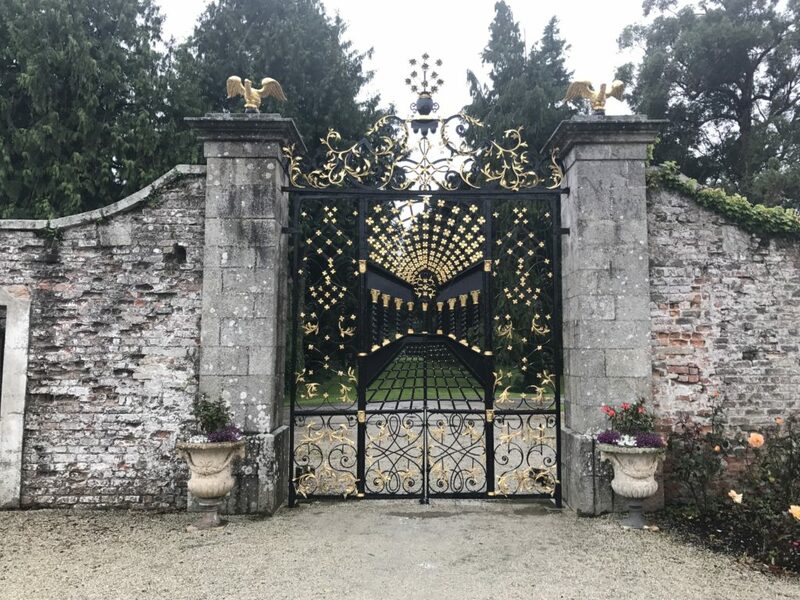 This place is most definitely now on my to do list , looks amazing, love all your photos!